Finding a competent and trustworthy tradesperson to carry out work on your home can be a very difficult and stressful process. According to surveys, many people see it as more stressful than moving home or even having a baby! In this article we share valuable advice on checking a tradesperson before you choose who to hire, so that when the work begins you can feel calm and relaxed and look forward to the new changes to your home. Why it is important to check a tradesperson? Everyone has a story of a friend or relative of jobs gone wrong, nightmares that last for years or they were charged a small fortune for a home repair job that wasn’t even necessary. Therefore you need to be able to trust the tradesperson you let into your home to do a quality job, turn up when they say they will, and be tidy and polite. Nevertheless checking a tradesperson can be a daunting task especially when you have a busy lifestyle. Check a trademan’s insurance certificate. This is by far, one of the most important things to ask your potential contractor. Ensure they’re covered with public liability insurance in case someone is hurt on site, and if they’re covered for damage to your property that may result in you hiring other tradesmen. Make sure the insurance document is the original and not a copy and that the cover is sufficient for the job. An industry association should be able to tell you whether the insurance is sufficient. For larger projects which include large scale alterations to your home £1,000,000 should be the minimum. If they are members of a trade associations, they will have to possess an up-to-date insurance policy. Therefore, it will give you some peace of mind to know they are covered. When choosing a tradesperson it is imperative that they are fully qualified to carry out the work you wish to have done to your home. There are a huge range of qualifications and professional body memberships which tradespeople may have, such as NVQ qualifications and Federation of Master Builders memberships. When looking for a builder or contractor it’s essential that the company holds an accreditation which vouches for the standard of work that the company has and can complete. Accreditations let you as the consumer know how reputable a company is and if their work meets a certain standard. There are a number of different accreditations around so it’s important that you research exactly what each one means. We recommend you ask to see proof of any qualifications and memberships provided by the tradesperson and if in doubt contact the organisation responsible to check. If you’re employing someone to work with gas (for example, fitting a boiler), it’s essential that they’re on the Gas Safe register. This has replaced the previous trade body, Corgi. You should ask to see their Gas Safe ID Card and you should also check the number on the official Gas Safe website. Check on the back of the Gas Safe Register ID that the engineer is registered to carry out the work he intends to do in your home. If they’re registered to fit gas boilers, it doesn’t mean they are automatically qualified to put in a gas fire. A recent research from NICEIC, which represents electricians, reveals that only two in 10 homeowners (19%) would check for ID when a tradesman arrives at their door, while more than a third (34%) admit they don’t check at all. 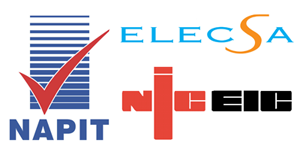 For electrical work a tradesperson should hold a Part P certificate which is provided by a number of governing bodies, the most common three are NICEIC, Elecsa and NAPIT. Did the tradesman turn up on time? Did the building work come in under or around your budget and advise you of any issues which may have cropped up? Did they provide a detailed quote and breakdown of the work required? Did they respect the property and tidy up when required? Would you use them again and/or recommend them to friends? If you wish to speak with any or the reference providers shown on a profile you should ask the tradesperson for their contact information. You shouldn’t be shy about asking for two or three references. Then call up the referees and speak to them directly about the work and service of the tradesman; if it is a big job, you might want to go and see the quality of his work. If the builder won’t provide references, ask why – it is often very telling about them if they don’t. 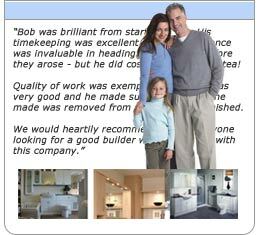 A good builder should have a list of previous clients who are happy to vouch for their work. Feedback is a lot like word of mouth. Customers are able to give an overall rating for the tradesperson as well as rate on individual criteria they chose when posting their job. 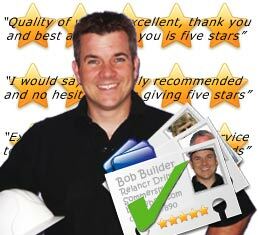 Only homeowners who have hired a tradesman can post a rating. Along with the ratings, a detailed feedback comment is also provided and displayed along with the job type undertaken and the date the rating was provided. Finally, once work has been completed, ensure you have received certificates for work that is notifiable under the Building Regulations for England and Wales. Competent tradespeople can legally self-certify the work they do and make sure you get the documents to demonstrate the compliance of your home. So when it comes to finding the reliable tradesperson that you need, when you need them, we recommend you use FindaTrade to take the hassle and worry out and simply post a job. This article was posted in Finding a Tradesman, General, Home Renovation. Bookmark the permalink. Follow comments with the RSS feed for this post.Post a Comment or leave a trackback: Trackback URL.